Josh Merrigan has been tabbed as the pitching coach for the Youngstown State baseball program, first-year head coach Dan Bertolini announced. "We are very excited to add Josh to our staff," Bertolini said. "His experiences as both a player and a coach make him a great fit. He has a wealth of knowledge, and his ability to prepare pitchers will lead to big-time success with our staff." 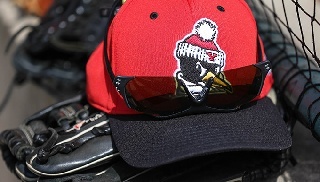 Merrigan comes to Youngstown having served as the pitching coach and recruiting coordinator at Morningside College in Sioux City, Iowa, during the 2016 season. The Mustangs had a 44-16 record, and the pitching staff was a big contributor with 423 strikeouts, the ninth-most in the NAIA. Individually, closer Lance Spongberg ranked 18th in the country with eight saves. Prior to his appointment at Morningside, Merrigan was the recruiting coordinator and assistant coach at Highland Community College (Highland, Kan.) in 2015. He served in the same capacity at Wayne State College (Wayne, Neb.) in 2014. Before entering the college ranks, Merrigan served as an Associate Scout for the Tampa Bay Rays from 2008-13. Merrigan guided several teams to state tournament appearances while coaching legion teams in South Dakota. His 2007 Sioux Falls Post 15 West team won South Dakota's "A" American Legion championship and finished third in the American Legion Central Plains Regional. Merrigan was drafted three separate times in his playing career and pitched two seasons in the St. Louis Cardinals organization from 2001-02. He was drafted for the first time in the 18th round of the 1997 MLB Draft out of Vermillion High School in South Dakota by the Montreal Expos. The Expos selected him again a year later in the 33rd round, and the Cardinals drafted him in the 17th round in 2001. In 2001, he pitched for the New Jersey Cardinals in the New York-Penn League, which is the same league that the Youngstown-area Mahoning Valley Scrappers play in. Merrigan went on to pitch two seasons in the Northern League for the Sioux Falls Canaries and the Sioux City Explorers in 2003 and 2004. He was selected as a Northern League All-Star in 2003. As a collegian, Merrigan pitched two seasons at Butler Community College where he posted a two-year record on the mound of 10-4 and earned all-conference honors. He went on to pitch as a junior and senior at Oklahoma State and was named Second-Team All-Big 12 in both seasons. He had a 16-6 record in his two seasons in Stillwater. He earned his bachelor's degree in sociology from Oklahoma State.